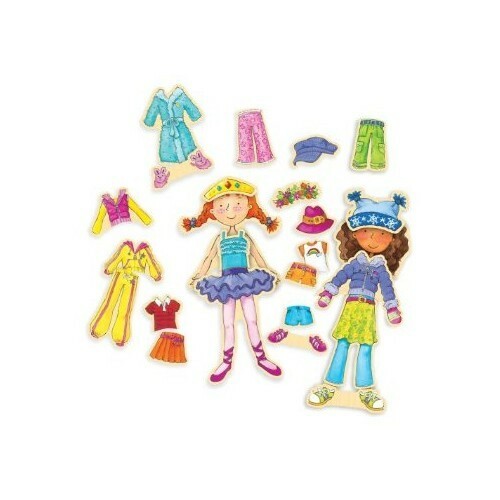 This Daisy Girls magnetic dress-up playset by T.S.Shure comes with 2 magnetic dolls and 40 style pieces to clothe them with great fashions. Girls love to play dress up! But they won't be needing your closet; we have something else in mind. 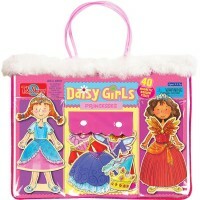 Daisy Girls Dress-Up Magnetic Wooden Dolls Set by T.S.Shure comes with wooden dolls for you to style and dress as you please! 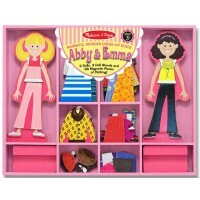 This magnetic dress-up playset comes with 2 magnetic dolls to clothe with great fashions. 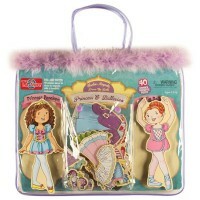 Put on a terrific tutu, a sassy skirt, a hip hat, and a totally cool tiara! 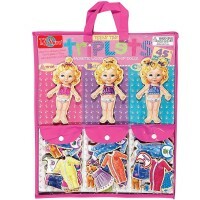 With 40 dressing pieces possibilities for imaginative play are endless. 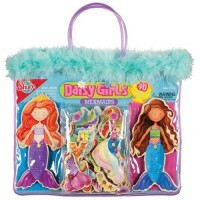 Daisy Girls Dress-Up set lets you dress the wooden magnetic doll figurines in robes and slippers and much more; and the magnetic dress-up set is easy to carry! 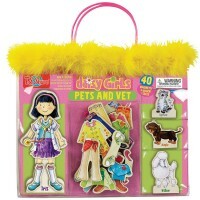 With a trendy, feather-trimmed carrying case, you can play dress-up anywhere. 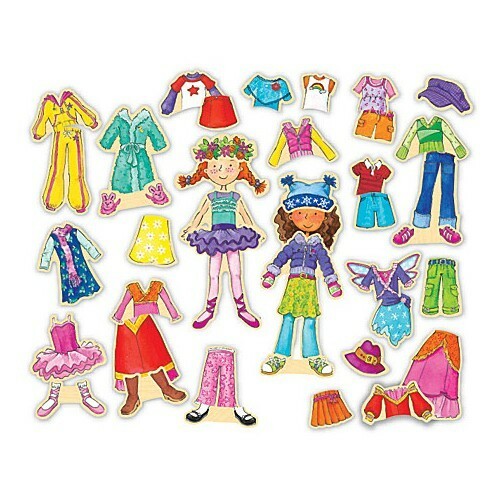 Daisy Girls Dress-Up Magnetic Wooden Dolls Set from Educational Toys Planet is just the magnetic dress-up set for any little fashion lover. 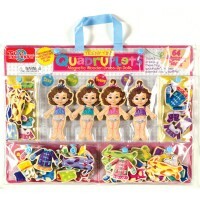 Write your own review of Daisy Girls Dress-Up Magnetic Wooden Dolls Set. 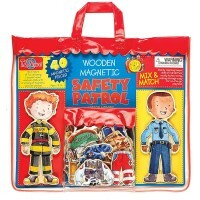 Rating: 5 instant hit by G-ma An instant hit with our 2 1/2 yr old granddaughter and a fun toy when she was traveling on the plane. Rating: 5 by Bridget, SC It was my daughter's absolute favorite Christmas gift. She cannot put it aside ever since. Great quality. 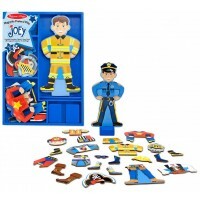 Ellegant toy. Rating: 4 by Judy, NE Lots and lots of 'clothes' will keep little ones busy for hours. However, the 'snap' to keep the pocket closed does not work well, so the pieces spill easily.